As pretty as a real snowflake! 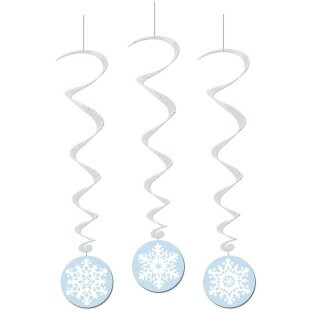 Snowflakes swirl in the wind - just like real ones! 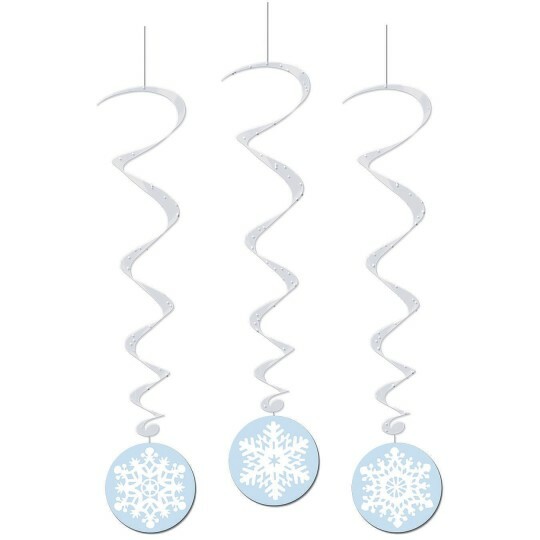 These beautiful metallic whirls have board stock paper icons printed with pretty snowflakes that swirl in the wind—just like real snowflakes! These whirls measure 30” long.